When it comes to ordering background checks, users want an order process that is easy and fast. This is why we were one of the first screening companies in America to add the candidate invitation email. 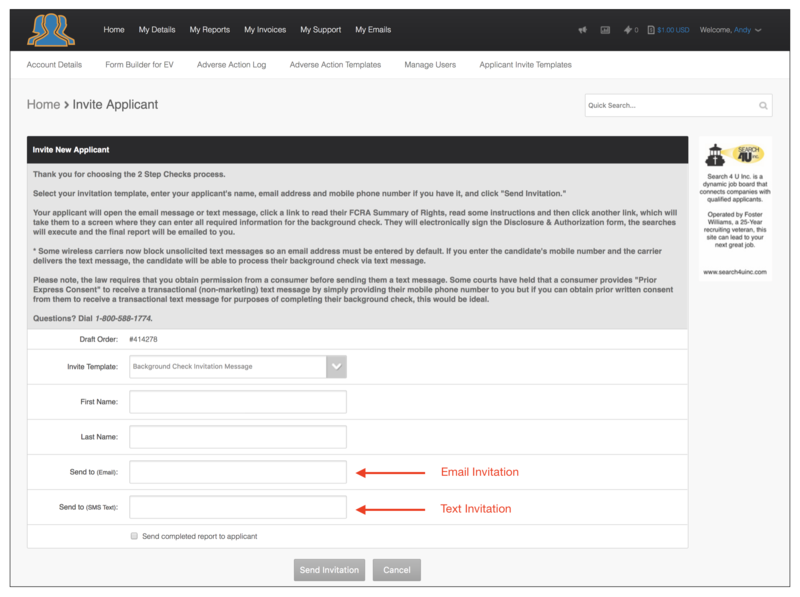 With this feature, the user selects their package from a menu then sends an email to the candidate. The candidate opens the email, downloads their FCRA Summary of Rights, reads some instructions and then clicks a link. A screen opens in their browser where they read their Disclosure & Authorization language, then enter the required information for the background check, electronically sign the consent form and submit the order. In order to make this process even easier and faster for candidates and users alike, the user can now enter the candidate’s mobile number and the candidate will receive a text message with the instructions and links, and they can initiate the order process on their smart phone. The user simply accesses their package from the menu, as shown below. On the next screen, they enter the candidate’s name, email address and if permission has been granted, the candidate’s mobile number. If the candidate receives the message via email or text, they can easily process their application on their smartphone or tablet. 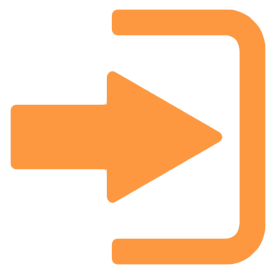 They will also be able to process the application on a desktop. They will only be able to submit the application one time. You can see below how clean the application renders on a smartphone. This is the easiest and fastest order process in America. 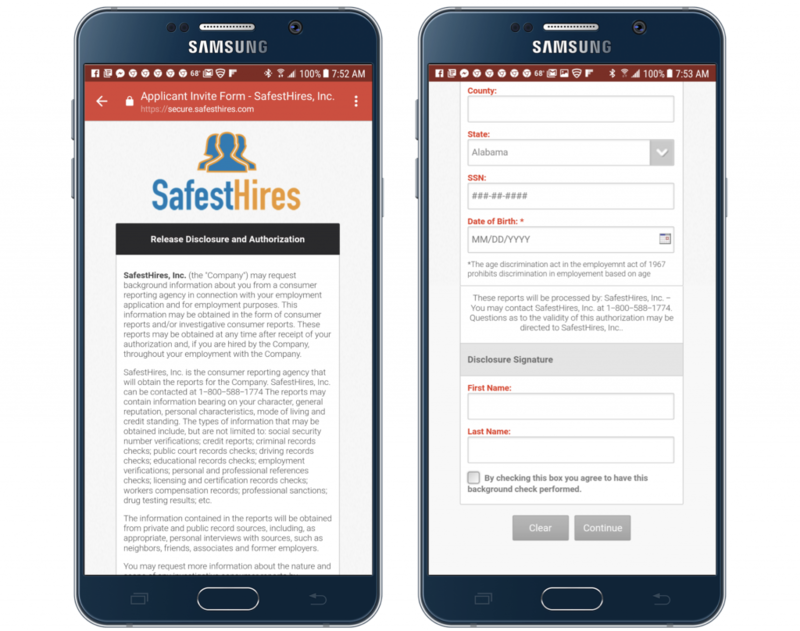 © 2019 SafestHires, Inc is a registered trademark. All rights reserved. Member of NAPBS. Licensed by the Texas Department of Public Safety Private Security Board (A10526). Let us help protect your company! This guy is a Background Checks Bandit and they cost companies millions. 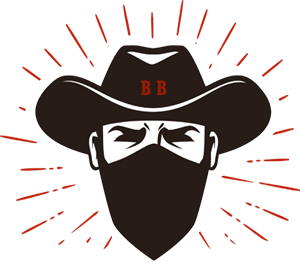 By clicking this link, you can to learn how to spot these outlaws and keep your company safe. And if you join our community, we will keep you informed with updates like this one so you never have any worries. No, thanks. Don't show again.